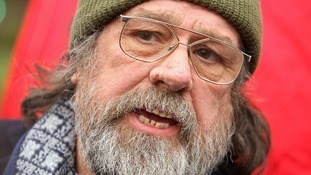 The Royle Family actor Ricky Tomlinson will be one of the campaigners urging the government to release documents relating to the "Shrewsbury 24" case. Tomlinson was one of six building workers imprisoned in 1973 after being arrested for picketing following a national strike. Campaigners believe the arrests were politically motivated and have urged the Criminal Cases Review Commission to overturn the charges. The so-called "Shrewsbury 24" were arrested and charged under the 1875 Conspiracy Act - six of them were sent to prison. We were building workers trying to get decent wages and working conditions. What's that got to do with 'national security'? We were convicted for conspiracy in 1972. We knew we were innocent. And now the government continue to throw a security blanket over what really happened…and the role of the security forces. We believe the prosecutions were directed by the government. The Government has told surviving members of the group, who have been fighting to clear their names for the past 40 years, that documents relating to the case will be withheld for a further 10 years. The ban will be reviewed again in 2021. The news that the Government papers will not be published for at least another 10 years is appalling. What they are hiding is a massive government conspiracy and shows that the home secretary of the day connived with the police and security forces at the behest of construction companies to make an example of ordinary workers. Labour MPs and other union leaders, as well as Tomlinson, will join today's event.